Mark Russinovich is the developer of Sysinternals that was bought by Microsoft. He is now a Technical Fellow at Microsoft. Dr. Russinovich is also the one who found the rootkit that Sony music CDs would secretly install on Windows computers for digital-rights management. Relatively innocuous by itself, the Sony rootkit was so generally written that it was easily exploited to hide real viruses. The back-pedaling that Sony had to do because of this misstep initiated their lost of dominance in the industry. 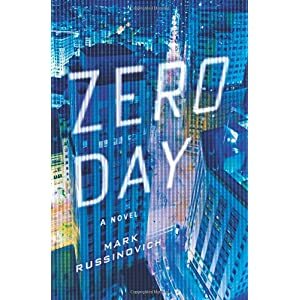 This is Russinovich's first novel. I'm a computational scientist at ORNL, so this book is right up my alley. I'd heard it raved about on several technology podcasts. The technical details are precise and much of the plot turns on rootkits and modern virus development. It's an engaging summer thriller. More recently I've heard that a sequel is being written.